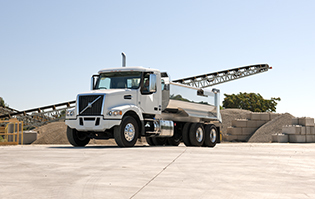 When the job demands maximum maneuverability, VHD 300 Axle Back straight-trucks and tractors are the perfect choice. 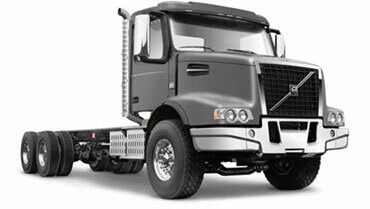 Need a truck with a bridge-law compliant wheelbase? The VHD 300 Axel Forward is the right fit. With an easily customizable chassis, a factory installed piston or gear pump and up to nine power take-off options, the VHD 300 can conform to your needs. In conditions where the terrain is rugged and space is limited, you need a maneuverable truck that’s capable of handling any obstacle with ease. 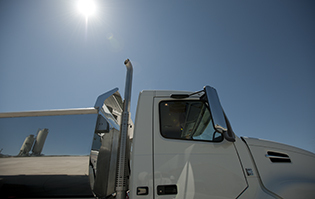 This is where the VHD 300 helps you deliver, day after day. It’s a reliable partner that gets the job done quickly and efficiently. Whatever tough situation a vocational application calls for, the horsepower and torque of Volvo’s D11 and D13 engines won’t shy away. And with a standard common rail fuel injection systems, they’re as fuel efficient as they are powerful. 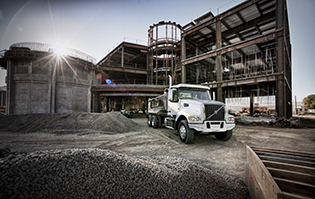 Every VHD comes standard with the Volvo I-Shift for Severe Duty transmission, built for the most demanding jobs. When steep-grade startability and low-speed maneuverability are paramount, the I-Shift with Crawler Gears is the answer for maximum GCW loads.